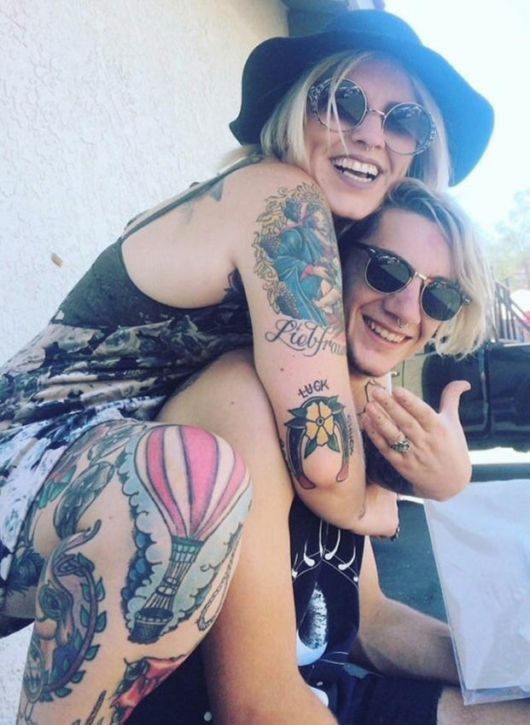 When Lucas Unger and Carlee Leifkes were searching for an engagement ring they both knew that they wanted something a little different from your standard diamond or expensive gem so what they got instead will probably creep a lot of people out, but for them it’s perfect. 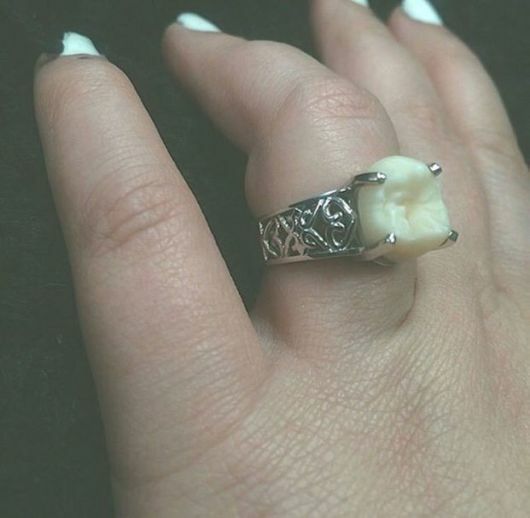 They decided to get a ring made featuring Unger?s wisdom tooth as the centrepiece. 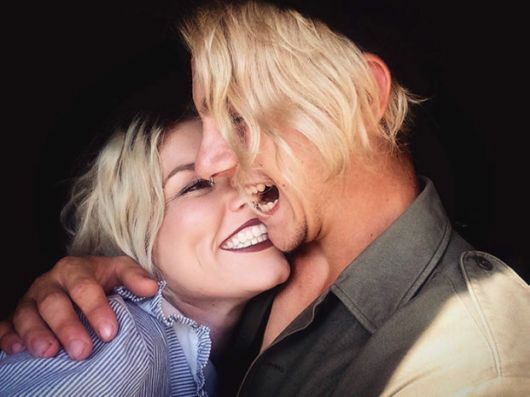 "So incredibly excited to marry my best friend, the man who knows that his wisdom tooth means more to me than a diamond," Leifkes writes on her Facebook profile. ?We have never been the ?traditional couple?, why the heck start now?? 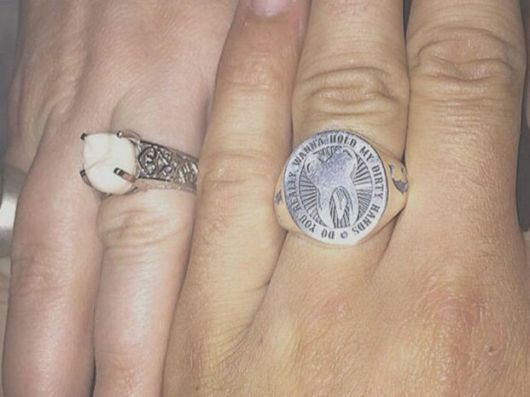 Carlee Leifkes and her partner Lucas Unger decided to announce their engagement on Halloween. 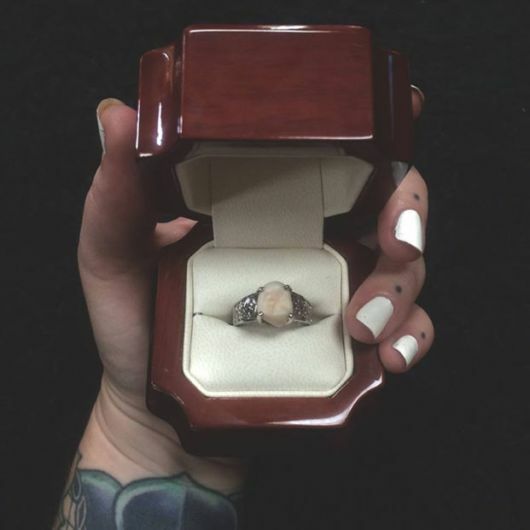 The couple have never considered themselves traditional and decided that Leifkes engagement ring would be Unger’s wisdom tooth. 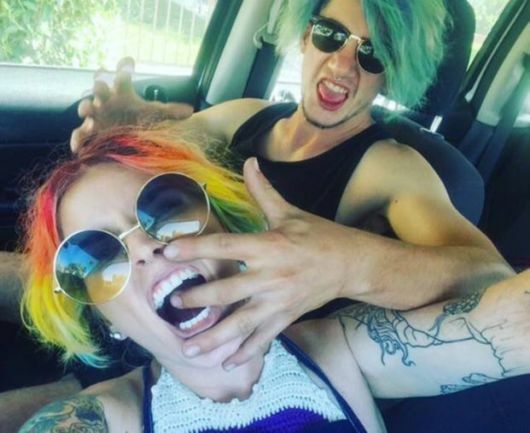 "So incredibly excited to marry my best friend, the man who knows that his wisdom tooth means more to me than a diamond," she wrote on the Facebook photo, announcing their engagement. ?We have never been the ?traditional couple?, why the heck start now?? 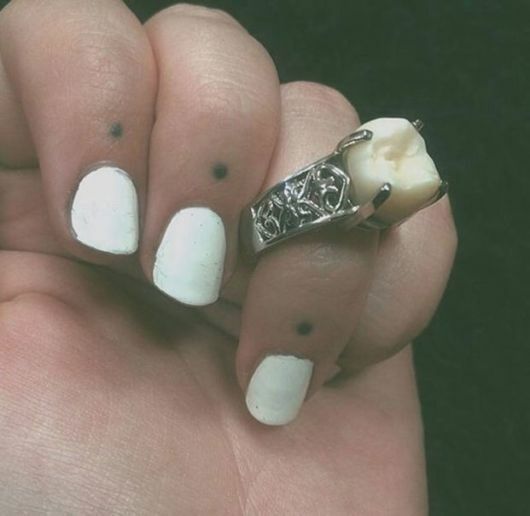 Although Leifkes knew she would be receiving the wisdom tooth ring the design was kept a secret until Unger officially proposed. It may not be for everyone, but to them it’s perfect. Here’s to wishing them a happy life together!